The hotel points cards are a category of cards where there is a large difference in the cards in the US as compared to their counterparts in Canada. While pretty much every hotel loyalty program is affiliated with a card in the US, there are a very limited number of hotel points cards in the Canadian marketplace. Something to note is that, in my opinion, most of these cards are weak cards for actually putting spending on. However, many cards in the US market give annual benefits of a free night or some large amount of points every year. In some cases, the free night benefit heavily outweigh the annual fee (the IHG card in the US gives a free night at any property annually and has an fee of $49 / year), making them worth keeping just for the annual free night. An important thing to consider, with respect to hotel points programs is the wild variance in teh value of a point. Airline points, in general all hover around just above 1 cent, but most definitely less than 2 cents each range. Hotel points programs vary wildly with Marriott and IHG points worth noticeably less and SPG points worth noticeably more. To get a sense of their value, we can compare their tradability to other points programs, as an example. Right there, we can see that clearly SPG points are worth multiples of Marriott and IHG points. This is an important distinction when comparing the returns. There are a lot of cards in the US, but I have chosen a select few that I feel represent the standard offerings from big banks and big programs. When it comes to rewards, there seems to be no real standard on earnings in Canada. The Chase Marriott card is clearly back of the pack, rewarding 1 (low value) Marriott point per dollar spent, and 5 Marriott points at Marriott hotels. The Amex SPG card is middle of the road rewarding 1 (very valuable) SPG point for all spending. The Capital One IHG is much better than the lot rewarding 2 (low value) IHG points on all spending and a total of 5 IHG points at IHG properties. The IHG further rewards you with an extra 5000 IHG points for every $10,000 you spend on the card. In the US, rewards tend to be more standardized with pretty much everyone giving 1 point per dollar spend. Most cards bonus spending in some of the categories gas, grocery and restaurants to 2x. All the cards tend to give a multiplier for spending at their properties. With the point values varying wildly, there are clearly some cards that can provide great value in the base earnings, while other can provide great value in the bonused categories. In my opinion, all of the cards in Canada do worse than cashback (or fixed value points) cards. When it comes to rewards base purely on spending, I would argue that the Canadian cards are actually better than those in the US. The reason being that, assuming a USD is more than a CAD, 1 SPG point / CAD spent is a larger percentage than 1 SPG point / USD spent. Obviously this would change if the CAD was sworth more than USD. In recent times, the USD has consistently seemed to be worth more than CAD. It would seem that the rewards in Canada are actually better than those in the US, when accounting for the exchange rate. The kicker for the cards in the US is the engagement rewards. In general, I find that many of the cards in the US offer an annual benefit of a free night or some similar benefits worth more, or at least close to the annual fee. This is the case with the Marriott, IHG, Hyatt and Hilton cards. In Canada, the Marriott card offers a free category 1-5 free night, but the fee is $120, which is considerably more than the retail price of a category 1-5 Marriott hotel. Pretty much all the cards, in both Canada and the US, offer some kind of status for having the card. This is generally the lowest level of status with each program, and generally helps in some way to get you moving towards a higher level of status. From my experience having these low level benefits, I have fond they are really not worth very much and I wouldn’t pay much for IHG Platinum status or Marriott silver status. The status mainly helps to accrue more points faster during stays at the hotels. With most hotel chains, the number of points earned for any given stay increases based on the status. In terms of sign up bonuses, I think that it is tough to say which country has a better return. I think that US sign up bonuses are better, in general, but for hotel cards a card-specific approach needs to be taken. In the US, the Chase Hyatt card is the most rewarding offering 2 free nights at any Hyatt in the world as a signup bonus. When I had gotten this, I used one of my free nights at the Park Hyatt Zurich, which probably retailed for $750 or more. In general, though, you should earn enough points for 1 – 2 nights as a sign up bonus. In Canada, the standard seems to be $120 annual fee. I believe that this is too high for these cards as they do not provide nearly enough value to command that level of annual fee. The Canadian SPG Amex also carries a $50 additional user fee. In the US, the fees tend to be much lower in the range of $50 – $85, which is probably where these cards should be on the spectrum. The biggest thing I have noticed, in my personal experience is that fee waivers tend to be very generous in this category in the US. I find that US hotel cards have always either waived the annual fee or given me more than the fee’s value for spending a little bit on the card. This seems corroborated by the US blogosphere. In Canada, getting a fee waiver seems like pulling teeth and I wouldn’t bank on, or expect to get a fee waiver. This doesnt mean I dont try every year. Clearly the US cards are better here. There are 3 cards that allow us to do an apples to apples comparison between the US and Canadian versions of a card. When comparing the 2 Marriott cards, I think they are both relatively equal. The US card has a higher sign-up bonus, which is relatively standard in the US. The Free category 1-4 night that comes with the sign up bonus in Canada, can be worth at most 20,000 points. There is also a spending benefit of 1 Status Night for every $3000 spent. There is always much debate as to the value of a point. My valuation puts Marriott points in the range of 0.5 ¢ each. With that valuation, both the US card and the Canadian card represent poor offerings in their respective marketplace. Both of the SPG cards can have decent offerings in their respective markets. Personally, I put a valuation of 1.75 ¢ for each Starwood point. I believe that Starwood points are the most valuable, transferably currency in the loyalty world. The US card is recently updated as of August 2015, and really stands out in comparison to the Canadian one. It really boils down to a noticeably better sign-up bonus and the fact that the US card bonuses spend at Starwood hotels, while the Canadian card does not. The IHG cards are really the best hotel cards in my opinion in both countries. I give a valuation of IHG points around 0.5 ¢ each, but really they can be quite valuable due to Pointsbreaks which I discuss below. 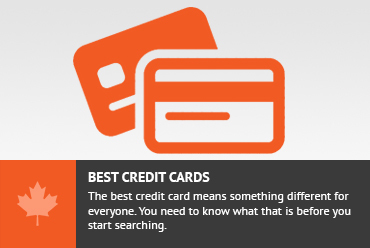 In terms of rewards, the 2 cards are similar getting 1 point for base spending and 5 points for spending at IHG hotels. The US card gives an extra bonus for spending at gas, grocery and restaurants. The Canadian card compensates by giving an extra 5000 points for every $10,000 spent. At the perfect levels of spending this works out to up to ½ point per dollar spent. The sign up bonus is the same between the 2 cards. The real difference is in the annual benefit vs the annual fee. In Canada, the annual fee is a relatively steep $120, with no additional annual benefit. In the US, the fee is only $49 but the benefit is a free night at any IHG property in the world. This is a huge benefit as this could offset a hotel night in a very expensive city. This is probably the best “bought” benefit in the credit card space. There are many high end Intercontinental hotels in this brand. In addition, the 10% rebate on all IHG point redemptions basically makes your IHG points 11% more valuable than they would be without it. There are various ways that people have figured out how to buy IGH Points at a rate of 10,000 IHG points for $70. Google is your friend here. This effectively puts a limit on how much you should sacrifice through credit card purchases on the IHG card. Personally I like the IHG points because the PointsBreaks puts a few hotels on sale every quarter or so. In general, I can usually find a hotel in that list that I can turn into a destination that I would like to go to. If you are flexible with your travels, and allow the Pointsbreak to help drive your weekend trip a bit, then you can do quite well here. If you are looking to book specific hotels and destinations, then I wouldn’t bank on getting much value from the Pointsbreaks. Sometimes, I have actually gotten lucky and a hotel I had already booked came on Pointsbreaks and I saved a large amount of points by rebooking. You get lucky by keeping your ear to the ground. In the category of hotel cards, I believe that the US cards are noticeably better than their Canadian counterparts. Rewards earning is similar in both countries. The annual benefits which tend to be in the form of a free night or enough points for a free night, are much better with US cards. The annual fees also tend to be noticeably higher in Canada than in the US. Don't subscribe All Replies to my comments Notify me of followup comments via e-mail. You can also <a href='https://www.creditwalk.ca/comment-subscriptions/?srp=4327&srk=2648578ecea05c83754707575dc5a494&sra=s&srsrc=f'>subscribe</a> without commenting.